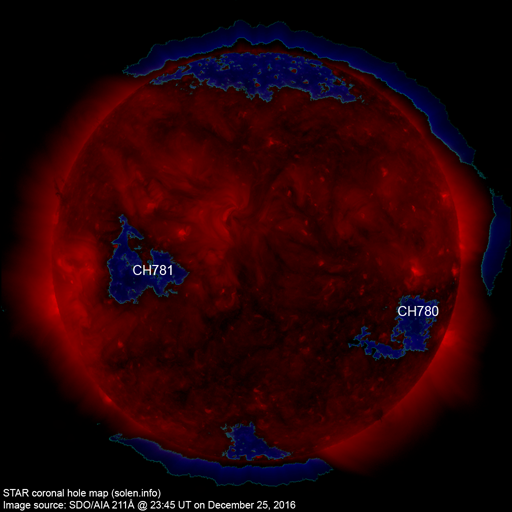 Last major update issued on December 30, 2016 at 03:25 UT. The geomagnetic field was quiet on December 29. 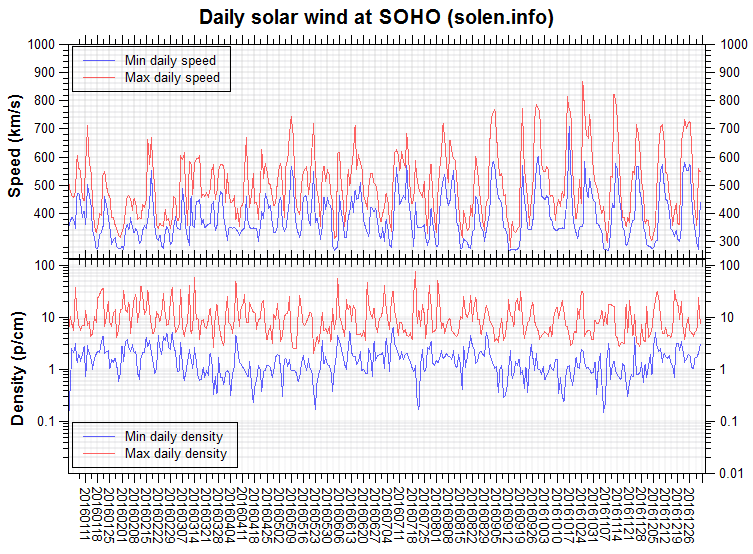 Solar wind speed at SOHO ranged between 378 and 408 km/s. 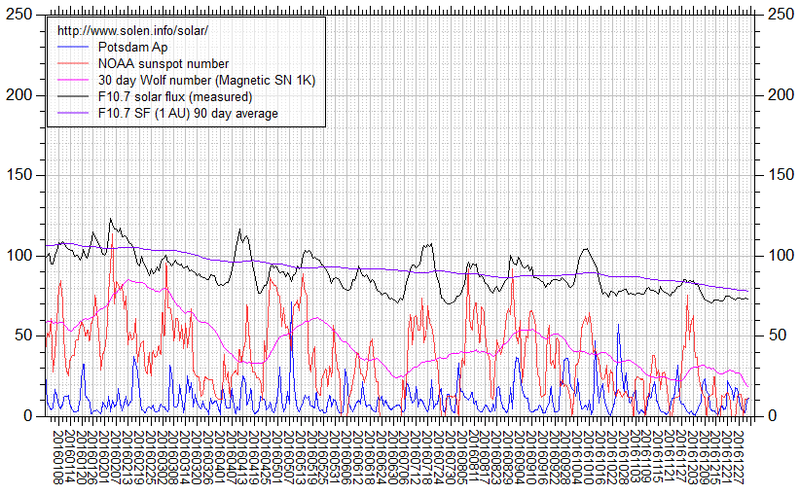 Solar flux at 20h UTC on 2.8 GHz was 73.4 (decreasing 11.0 over the last solar rotation). 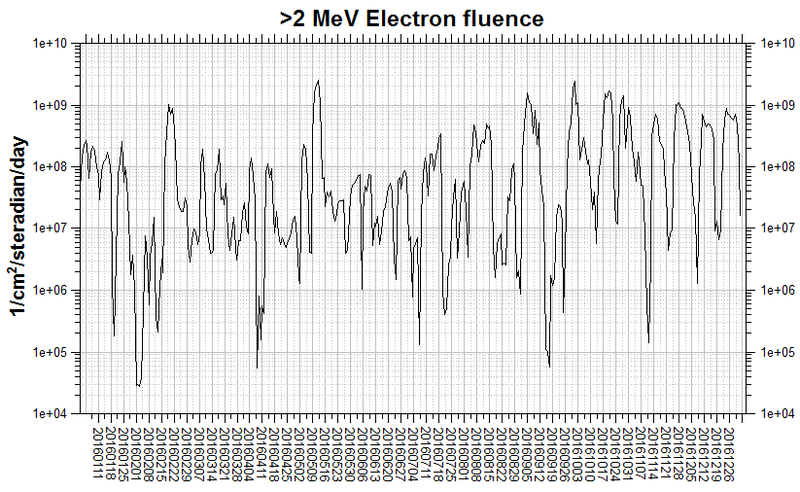 The average 90 day 10.7 flux at 1 AU was 78.6. The Potsdam WDC planetary A index was 4 (STAR Ap - based on the mean of three hour interval ap indices: 3.8). Three hour interval K indices: 21011100 (planetary), 21222211 (Boulder). 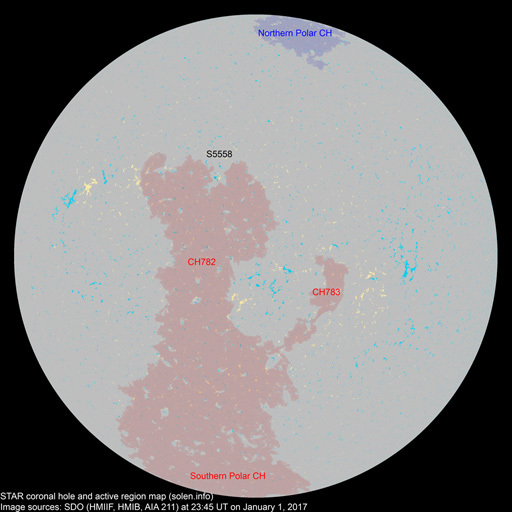 At the time of counting spots (see image time), spots were observed in 1 active region using 2K resolution (SN: 11) and in 0 active regions using 1K resolution (SN: 0) SDO images on the visible solar disk. New region S5554 [N00W53] emerged early in the day, then decayed slowly. 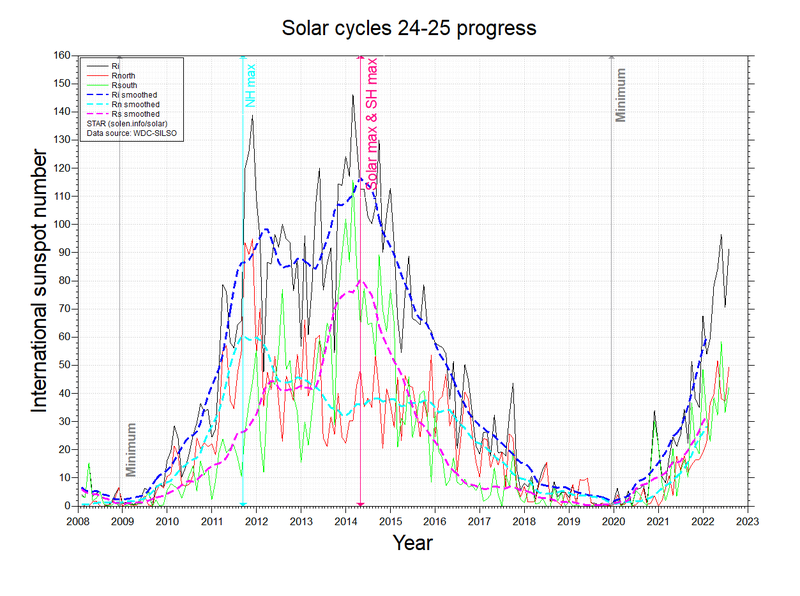 December 27-29: No obviously Earth directed CMEs were observed in available LASCO imagery. 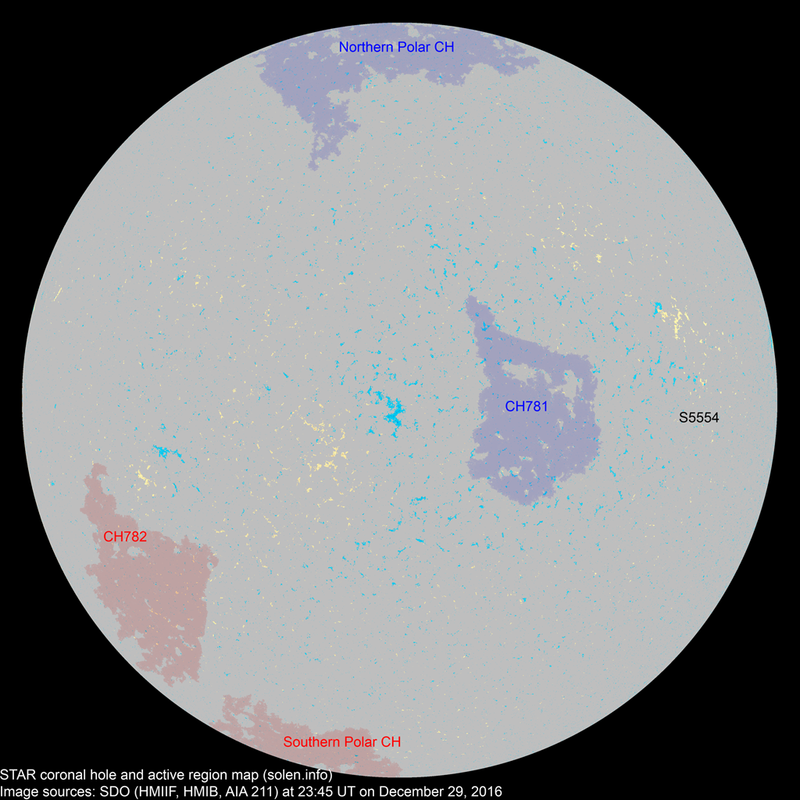 A recurrent trans equatorial coronal hole (CH781) rotated across the central meridian on December 27-29. A recurrent southern hemisphere coronal hole (CH782) could rotate into an Earth facing position on January 2. Long distance low and medium frequency (below 2 MHz) propagation along paths north of due west over upper middle latitudes is poor to fair and slowly improving. Propagation on long distance northeast-southwest paths is poor. The geomagnetic field is expected to be quiet most of December 30. Effects from CH781 could cause some unsettled and active intervals from late on December 30 until January 2.